Education: I graduated with a master’s in arts degree in Elementary Education and received a Multiple Subject Credential from the University of Phoenix in 2008. I received a bachelor in arts degree in Child Development and Family Studies from California State University of Long Beach in 2006. I currently hold a Program Director Child Development Permit. I plan to attend a doctoral program and receive my Ed.D. in Educational Leadership. I have attended trainings in the Early Childhood Rating Assessment, CLASS tool, ASQ-3 tool, and Maria Montessori. Work Experience: My work experience with children began when I was a teenager where I worked at Parks and Recreation programs through the youth programs, special events planning, to supervising the after school program. During college I interned at Miller Children’s Hospital in the Therapeutic Play Therapy Department where I had the opportunity to work with children who were not able to attend school. I taught “mommy and me” classes and was a pre-k teacher at Alpert Jewish Child Development Center at AJCC. I student taught grades kindergarten and 5th grade through the Long Beach Unified School District. I was a professor at ICDC College where I taught general education courses such as English and Mathematics. I have worked with Quality Children’s Services at Bellflower I Child Development Center as a site supervisor since 2009. Hobbies: I enjoy nature. I love hiking on my time off, camping in the forest, the beach, and going to the desert. I also enjoy canvas painting and spend much of my time on Do-It- yourself projects and restoring old furniture. Education: I am still attending college and am working on my Bachelor of Arts Degree in Child Development. I am taking courses to work in the medical field as well. I currently hold a Child Development Associate Permit. I have attended trainings through LAUP on a variety of topics such as Language, Science, Math, Social-Emotional Development, CLASS tool, Health, and cultural diversity. Work Experience: I am a hard working independent individual. I started working at 16 years of age. Before I was hired with Quality Children’s Services, I worked for Long Beach Memorial Hospital. I was a nurse assistant. I had a grave yard shift and one of my duties was to take dead bodies to the mortuary. I worked there for over two months after deciding that it was not the job for me. After, I was hired with QCS as a teacher assistant at Bellflower II Child Development Center. In January 2013 I was promoted to a Head Teacher at Bellflower I Child Development Center. Hobbies: On my free time I enjoy going to church. I am a Sunday school teacher for six-year-old girls. I am also a radio host for my church and participate in the drama department. I am learning how to play the guitar and recently am taking vocal classes. I enjoy road trips and reading the bible. I love walking at the beach and looking at the sunset. 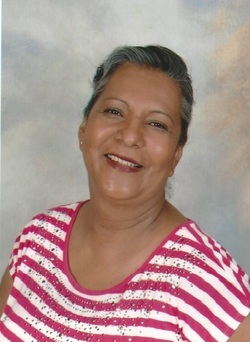 Education: After I raised my children I decided to study Early Childhood Education. I went to Cerritos Community College and started taking child development classes. I graduated with 12 units in Child Development in 2000. I currently hold a Child Development Assistant Permit. I have attended Montessori trainings in Language Arts, Mathematics, Geography, and Practical Life. I have also attended trainings about the California Preschool Learning Foundations and Frameworks through California Preschool Institute Network (CPIN). For the past year I have attended trainings through LAUP on a variety of topics such as Language, Science, Math, Social-Emotional Development, CLASS tool, Health, and cultural diversity. Work Experience: I started working in 2000. I was a Nutritionist for a year and then became a teacher assistant. I worked 2 years at a Child Care Center. In 2001 I started working for Quality Children’s Services as a teacher assistant at El Monte Child Development Center and have been working at Bellflower I Child Development Center since September 2012. Hobbies: When I have time, I like to go exercise. I like to take care of my dogs (Picasso and Pulgui). I also like to cook for my family. Education: I went to Cerritos Community College and began the nursing program to become an R.N. but my major to Child Development. I received my Associates of Arts Degree in Child Development in May of 2012 from Cerritos College. I also hold a Child Development Teachers Permit. I have attended trainings through LAUP on a variety of topics such as Language, Science, Math, Social-Emotional Development, CLASS tool, Health, and cultural diversity. Work Experience: I worked 2 years as a teacher assistant at a private preschool. I then was hired as a Teacher Assistant for Quality Children’s Services at Lakewood Child Development Center. After 2 years, I was promoted to Lead Teacher and have been working for Quality Children’s Services at Bellflower I Child Development Center for the past 12 years. Hobbies: I love spending time with my family. I like to barbeque and have dinner with friends. I also enjoy being a team mom for the DJAA League for my son’s team (The Panthers). Education: I attended California State University of Long Beach and Cerritos College. Work Experience: I worked as a Customer Service Agent at Los Angeles International Airport and John Wayne Airport. I began to work for Quality Children’s Services 3 years ago. I obtain a Child Development Teacher Assistant Permit. I am currently attending college. I have attended trainings through LAUP on a variety of topics such as Language, Science, Math, Social-Emotional Development, CLASS tool, Health, and cultural diversity. Hobbies: My hobbies are horseback riding, running, hiking, swimming, and reading. Education: In Mexico, I completed my high school education. I came to the United States and continued my education to get a diploma from the United States. I then continued with college taking Child Development classes to start my career. I received my Child Development Assistant Teacher Permit in March 2013. I have attended trainings through LAUP on a variety of topics such as Language, Science, Math, Social-Emotional Development, CLASS tool, Health, and cultural diversity. Work Experience: I worked for the school district for 16 years and then decided to change to private schools. 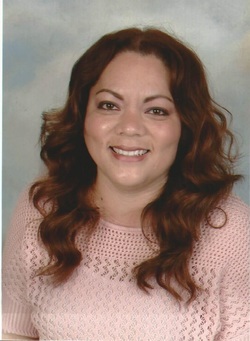 I began working as a substitute teacher with Quality Children’s Services and then was hired as a teacher assistant at Bellflower I Child Development Center in September 2011. Hobbies: Spending quality time with my family, especially my younger grand children. I also enjoy traveling to other states to participate in the entertainment that they offer. Work Experience: I have worked with Quality Children’s Services since September 2003 at various sites such as El Monte CDC (which is now closed), Norwalk CDC< Lakewood CDC, and Bellflower I Child Development Center. I have been at Bellflower I Child Development Center since September 2013. Hobbies: I enjoy working in my garden at home.